WASHINGTON: The US Department of State has honoured 10 outstanding young leaders from around the world, including a Pakistani. The young leaders were presented the US State Department’s ‘Emerging Young Leaders’ award at a ceremony in Washington on Wednesday, a press release stated. Dania Hassan has been honoured for her efforts to promote positive social change in the education sector of Pakistan, the press release said. 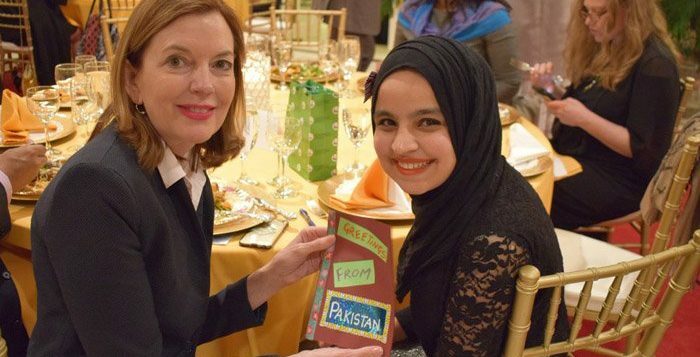 The 18-year-old after attending summer school at John’s Hopkins University through the US Summer Sisters Exchange Programme, a programme of US Pakistan Women Council, established an organisation “Fun to Learn”. Through the organisation, teams of volunteers conduct extracurricular programming in underprivileged schools. Hasan is the youngest high-achiever of the Pakistan-US Alumni Network’s “30 under 30” series. Pakistan’s Ambassador to the US Aizaz Chaudhry applauded the efforts made by the US Pakistan Women Council to promote women empowerment and entrepreneurship. While congratulating Hassan, Ambassador Chaudhry said that Pakistani youth and women are vibrant, robust, passionate and are excelling in various fields. He urged the council and its partners to identify more opportunities to enhance future cooperation. Earlier, the US-Pakistan Women Council organised a pre-award event at the residence of the council’s founding member, Shaista Mahmood, to celebrate the achievement of Hassan. 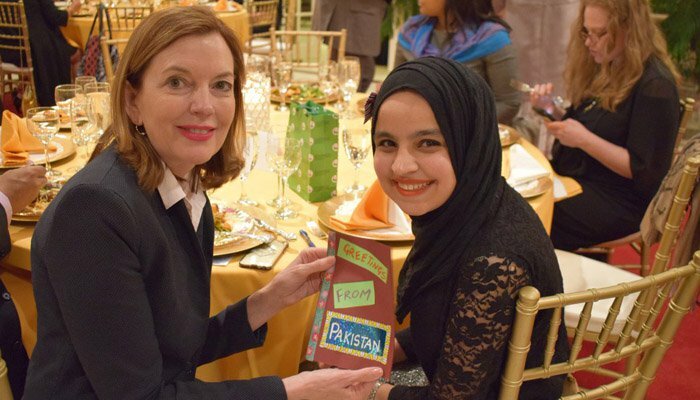 The event was attended by senior officials of the State Department, board members of US Pakistan Business Council, prominent community members and students.